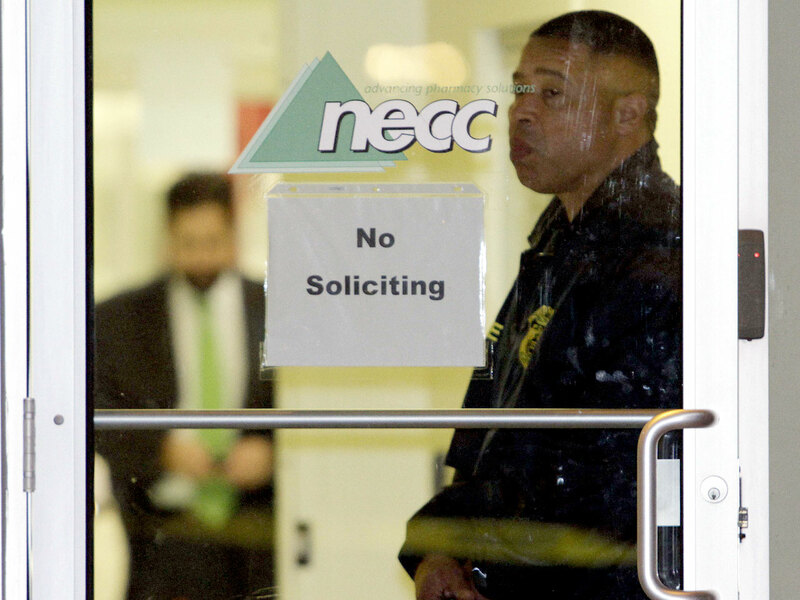 BOSTONMassachusetts regulators have taken action against three more compounding pharmacies following unannounced inspections ordered in the wake of a deadly nationwide fungal meningitis outbreak linked to a different pharmacy in the state, the New England Compounding Center. OncoMed Pharmaceutical Services suspended operations at its Waltham facility after an inspection found problems with storage of chemotherapy drugs. The company said the safety of its medications was never compromised and it was working to address the issue. Woburn-based Pallimed Solutions was told to halt production of sildenafil citrate, which is sold as Viagra, for human use after inspectors found that it had been prepared with improper components. Company owner Jim Nahill said there were no patient complaints or safety issues. The Whittier Pharmacist, in Haverhill, was ordered to cease sterile compounding after unspecified violations were found. A message left with the company was not immediately returned. More than 500 people have been sickened by contaminated steroid injections made by the Framingam, Mass. specialty pharmacy, the New England Compounding Center. Most of the cases -- 363 - are of fungal meningitis, while more than 150 spinal infections have also been reported as of Dec. 3, according to estimates from the Center for Disease Control and Prevention. Thirty-six people have died. A preliminary investigation of the New England Compounding Center's facility found that some vials of preservative-free methylprednisolone acetate -- the injectable steroids tied to the outbreak -- contained "greenish black foreign matter" while others had "white filamentous material," according to an Oct. 26 Food and Drug Administration report. That investigation also revealed the firm used non-sterile ingredients and equipment, and had contamination in "clean areas" such as with standing water and mold. The outbreak has raised concerns over the regulation of compounding pharmacies, which are used to mix medications. During a Nov. 14 hearing, Food and Drug Administration Commissioner Margaret Hamburg asked lawmakers to give her agency more authority and funding to oversee compounding pharmacies, which are regulated by the state.